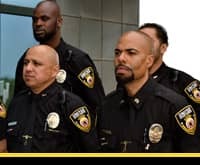 What do you need to know about security guard services in the USA? Due to the hike in violent and criminal activities, the security service industry is booming, providing a wide range of services. It helps people to do their business with peace of mind as these services aim at fulfilling the needs of people according to their requirements. Whether it is an event, important occasion, business or any other place where people need protection, the trained and skilled security guards improve the security and ensure that it runs without any problem. Availing the services of professional security companies is imperative to deal with the threats and risks which pose danger, both minor and major to the individual or property. Today, businesses of varying sizes also require security for their offices as well as for employees as the security risks not only affects the lives and infrastructure but also can cause the businesses to earn a bad reputation. Any private or commercial property which has security guards is considered more secure. Therefore people feel protected as they know there is reduced risk of any unwanted situation. Professional security guards prevent crimes from happening. They observe suspicious activities and act before it causes any big issue. The presence of a trained guards helps in keeping the criminals away, thus secure people and the place. In an emergency situation, there is a lot of hustle. Here security guards play an important role in issuing warnings and directing people to a safer area. Moreover, in case of any fire or other crisis, the skilled guards can call respective authorities to control the situation. Usually, in big events, crowd management is a daunting task. Here the presence of security guard could be of great relief as they prevent the potential risks of fights, crowd crushes, or riots. Nowadays, security has become inevitable and the need for professional security guard services has become more important than ever.